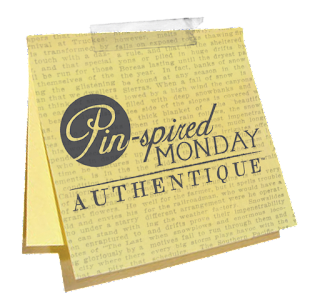 Authentique Paper and Scrapbook Adhesives by 3L are teaming up over the next couple of days to bring you tons of inspiration using Authentique Paper and Scrapbook Adhesives by 3L products! 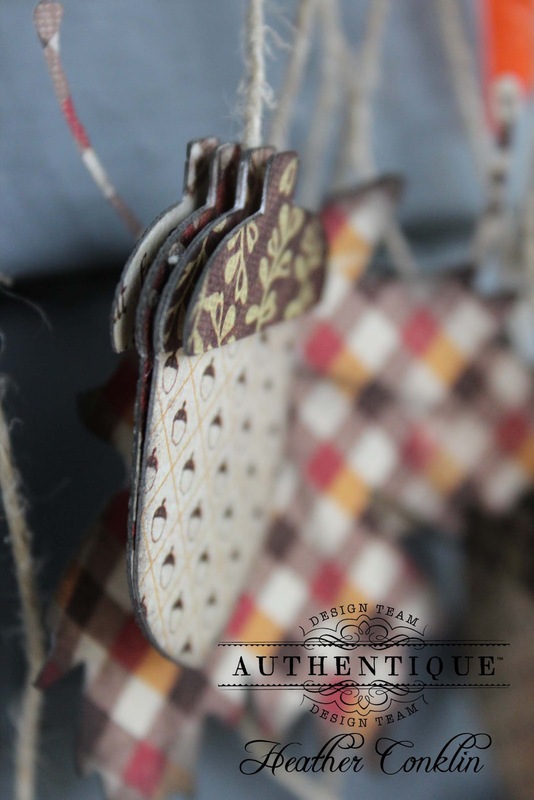 After you check out the projects here on the Authentique Paper blog, be sure to head on over to the Scrapbook Adhesives by 3L blog to find out what the talented members of their Design Team have in store for you today! I love Fall. Love it. Especially when the air turns crisp, the grass starts to frost in the morning, and you can smell the fireplaces when you walk outside. 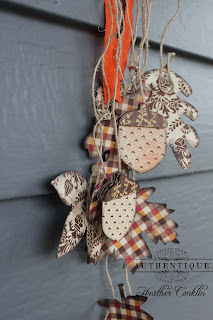 I especially love all of the falling leaves, and wanted to include those in this week's project. I used this pin as my inspiration. 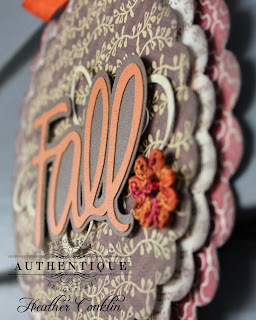 I loved the leaves, the Fall lettering and the natural fibers that were used. Rather than create an extra large rosette, I grabbed my Silhouette and started cutting away. 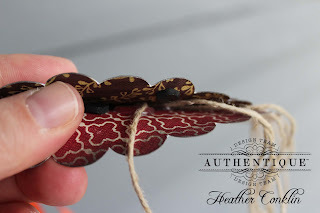 I layered scalloped circles with the fantastic Scrapbook Adhesives by 3L. I just love how the dimensional adhesive makes each of the layers pop! I used strips of 3L's Crafty Foam Tape in black, 3D Foam Squares Variety Pack in black, and Dodz 3D for the scalloped circles. The Dodz were great for sticking the twine into, as they also stuck to the upper layer. 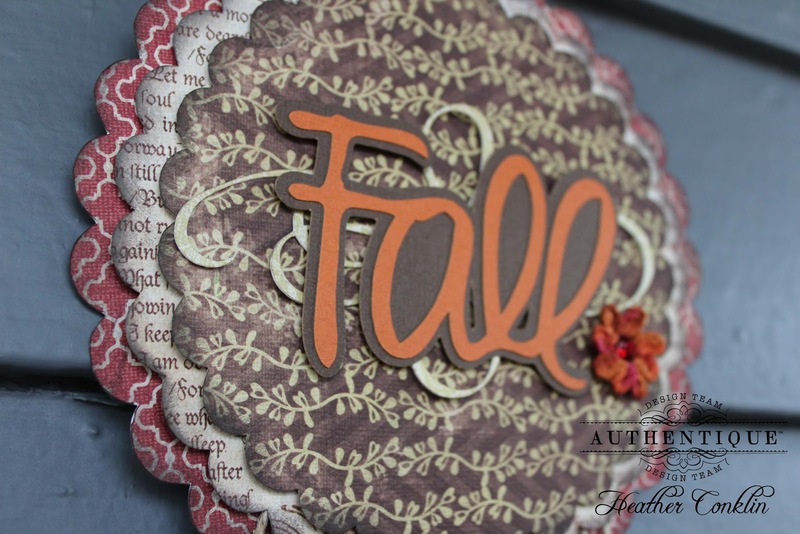 I layered the Fall saying, and used the 3D Foam Squares Variety Pack in black to give it more dimension. I also placed a cute crocheted flower that my friend Cathryn made for me. The colors worked perfectly with the Thankful papers. 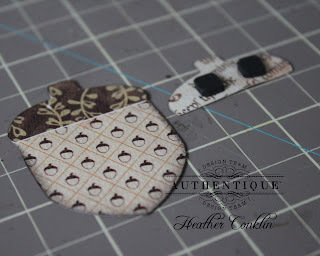 I really loved the little acorns on the Harvest paper, and decided to also make more three-dimensional acorns to add to the multitude of leaves. I created the acorns with another Silhouette cut. After cutting the seed section of the acorn, I cut two caps per acorn. This way, I could glue one directly to the seed, then add the 3D Foam Squares to the second cap. Once that was applied to the seed, it adds to the dimension of the project. The black Foam Squares are great, as they don't contrast against darker toned paper. For this project, I glued two acorns back to back with the twine in the center. I love how they pop against the various leaves. 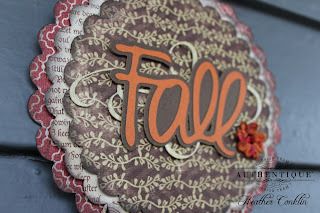 To finalize this, I just added some May Arts crinkle ribbon, and my Fall decor is complete! I hope that this inspires you to create your own Fall decor using Thankful. Be sure to check back every day this week for more project inspiration! We have an Authentique Prize Pack to give away to one of our lucky commenters (please leave unique comments!) 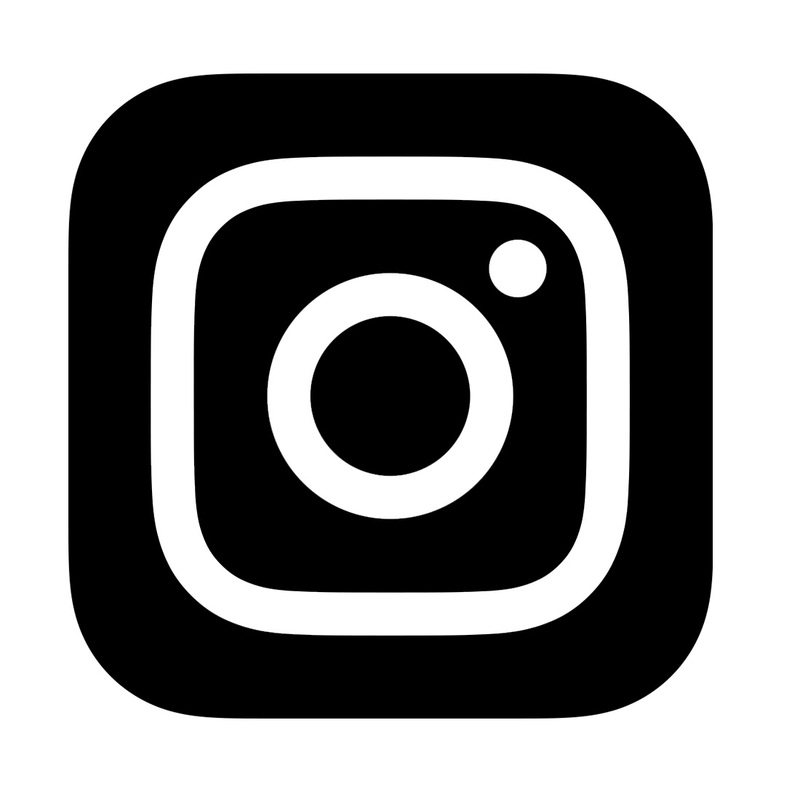 Also, make sure you stop and visit us as well as our friends over at Scrapbook Adhesives by 3L for prizes and lots of wonderful inspiration coming your way! 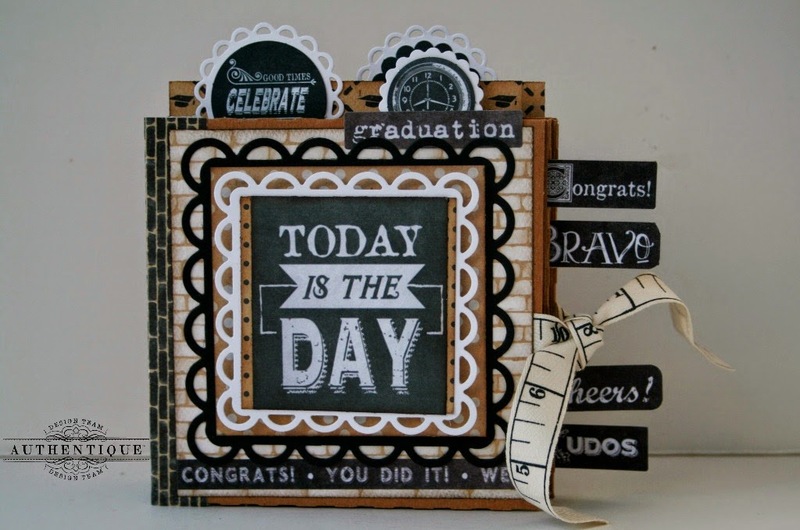 Also, make sure you stop by the Scrapbook Adhesives by 3L Facebook Page and tell them Authentique Paper sent you! This is incredibly beautiful. 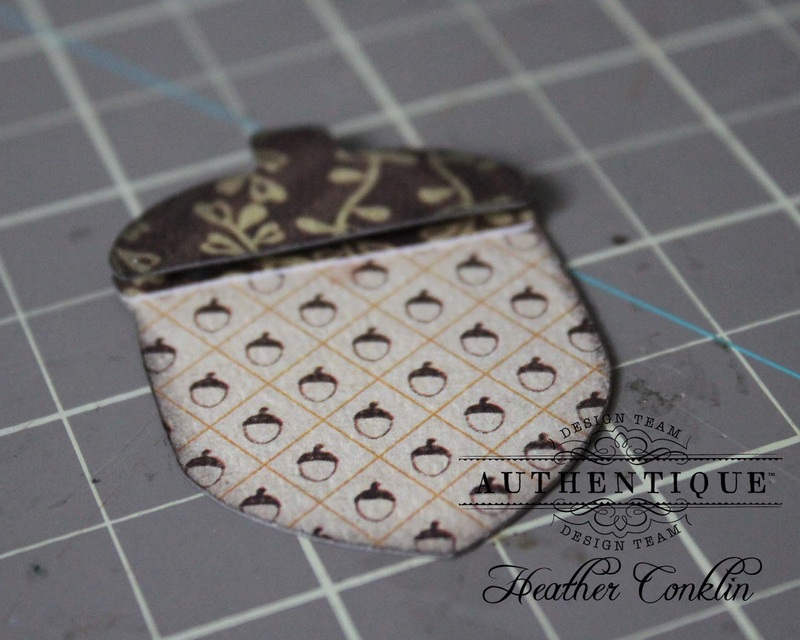 Love those 3D acorns with the acorn patterned paper. What a super cute little project! I love it! Thanks so much for sharing! 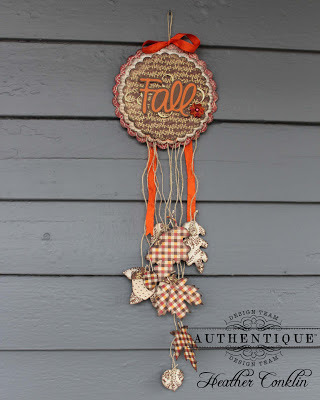 This Fall wall hanging is fabulous. I think what I like most about it all the dimension of the 3D effect that went into making it. All that layering does make it sturdier. I am going to try making something like this for my front door. 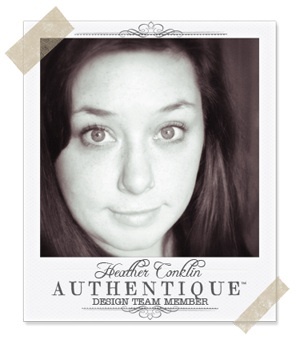 Gorgeous, Heather! An original spin on the typical holiday wreath! This is so pretty! I really love the acorns and all the layers! Heather this project is so beautiful! 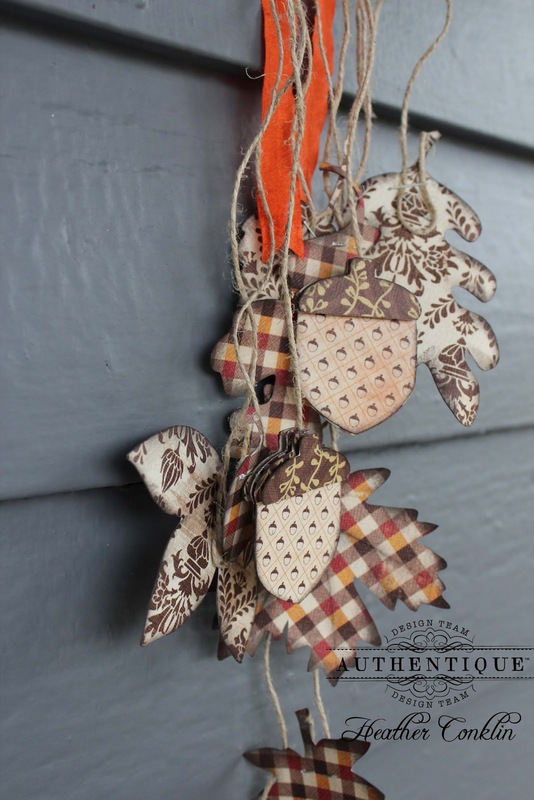 Thankful was a great choice for your fall decor project! You are quite the crafty lady! Thank you for creating such beautiful projects for the blog! Amazing project, Heather! Love all of the layering with the foam dots...I can imagine that it looks even MORE amazing in person!!!! Lovely fall decor. I like the layers and the cute acorns. Heather this is gorgeous! I want to make one now. Thanks for inspiring me! Love the paper and the fall items who are made with them. Such a cool hanging, but the colours are warm and cosy! 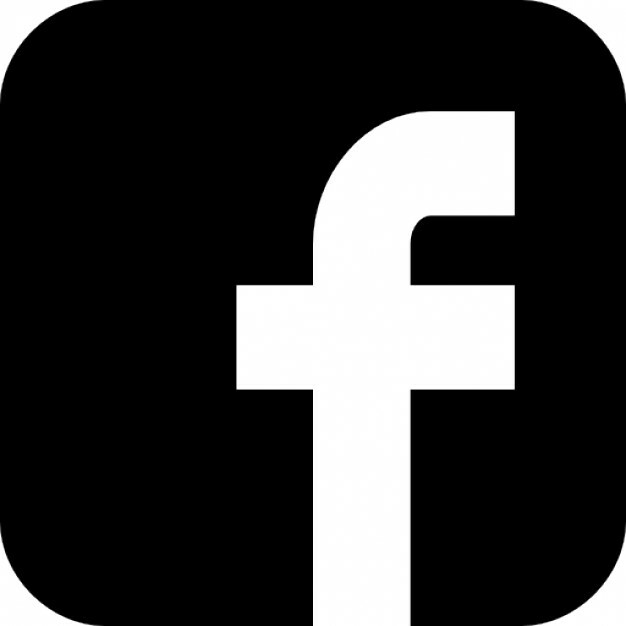 Fab project. AnnieS. What a great project. I love the natural look with the twine and elements. Gorgeous work! this for a gift to a co-worker! so off to play the rules, i hope to win some tools. Love the natural look of the project. Especially the acorns!! 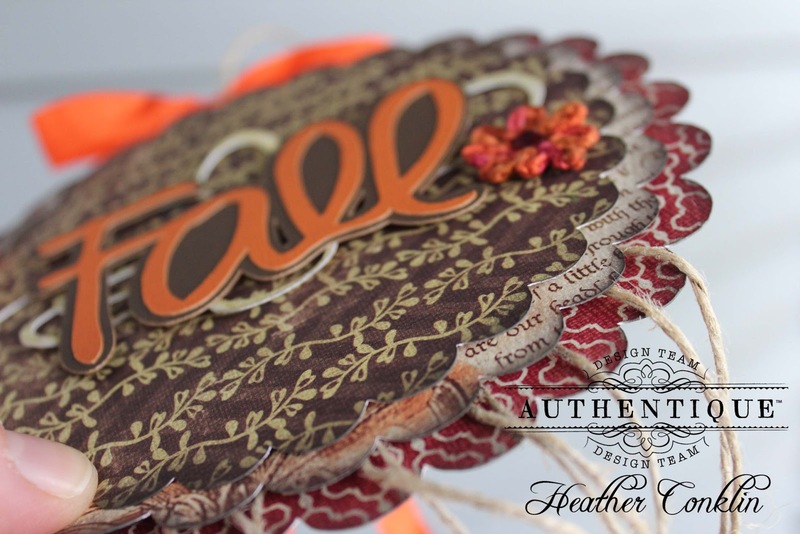 Love how the pattern paper blends just like the natural elements in fall. Great work! LOVE this project !! I'm pretty sure I will be scraplifting it !!! Love this inspired project. Love all the textures and movement you get from the hanging leaves and acorn. Thanks for sharing and the chance to win. Beautiful Fall project! Thanks for the chance to win free stuff to feed my papercraft addiction! this rocks Heather!!! love those acorns! Love the acorns and the way you used a large scallop piece. I love the look of this for hanging on my door. I may use this inspiration for to make one for myself. What a clever wall hanging! I don't think it would have occurred to me to use 3D squares on a project that is already a 3D project but it adds so much! beautiful! I love the dangling leaves and acorns. this is stunning! So pretty, loving the 3D acorn tops!! 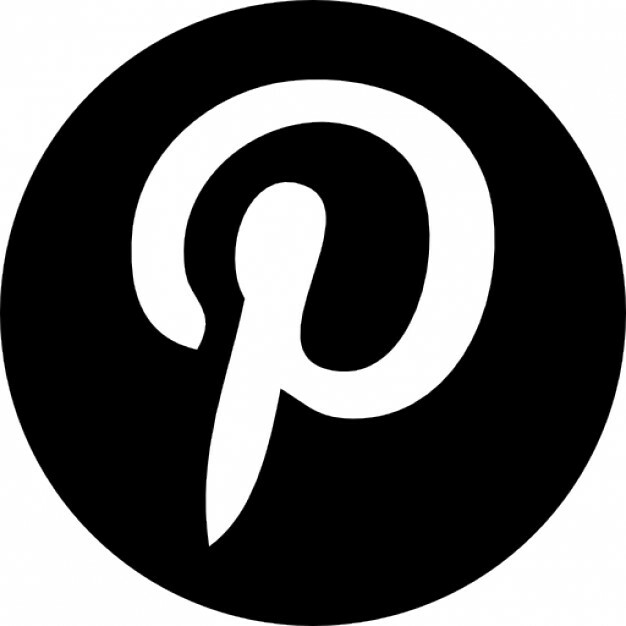 Isn't Pinterest wonderful!!?? Great wall hanging. I love your acorns. Thanks for the tut! 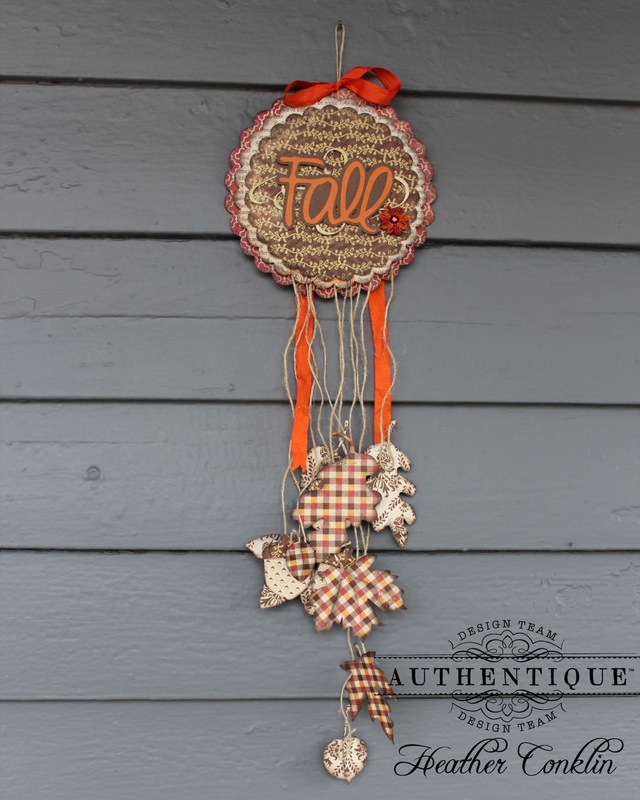 Wonderful fall wall hangings! Thanks for the inspiration! I love fall, too. These wreaths/hangings capture the feeling perfectly. The acorns are a great touch with the leaves. Nice touches and dimension on all of it. The papers and colors are perfect for the project. Nicely done! love this hanging. i can just picture the winds making it sway. thank you for sharing. Heather, this is absolutely gorgeous! I love the added acorns! Love all the extra little details added to this project. Thanks for sharing. 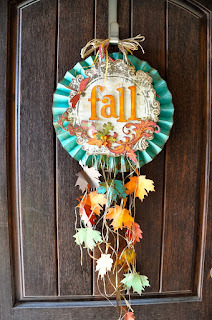 Wonderful idea for Fall decor, thanks for the inspiration! fall is one of my favorite times of the years and I just love acorns. This paper is perfect! Excellent! 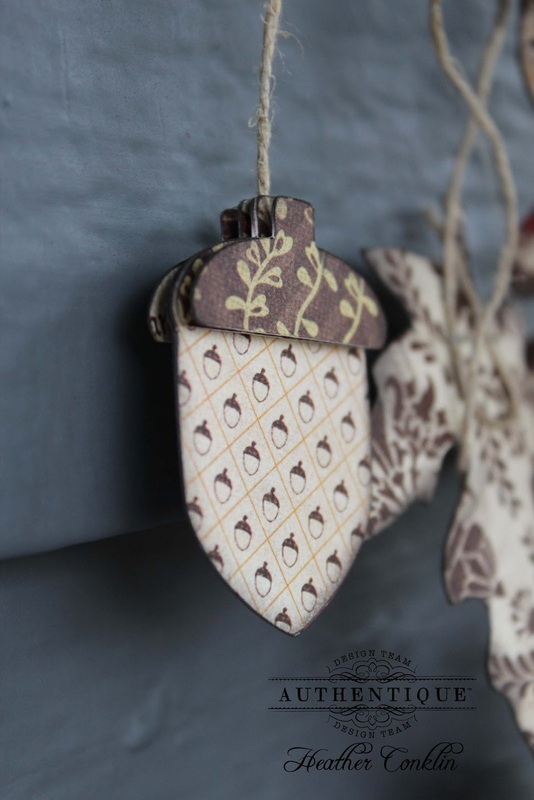 The acorns and leaves that are dangling are the best! TFS!